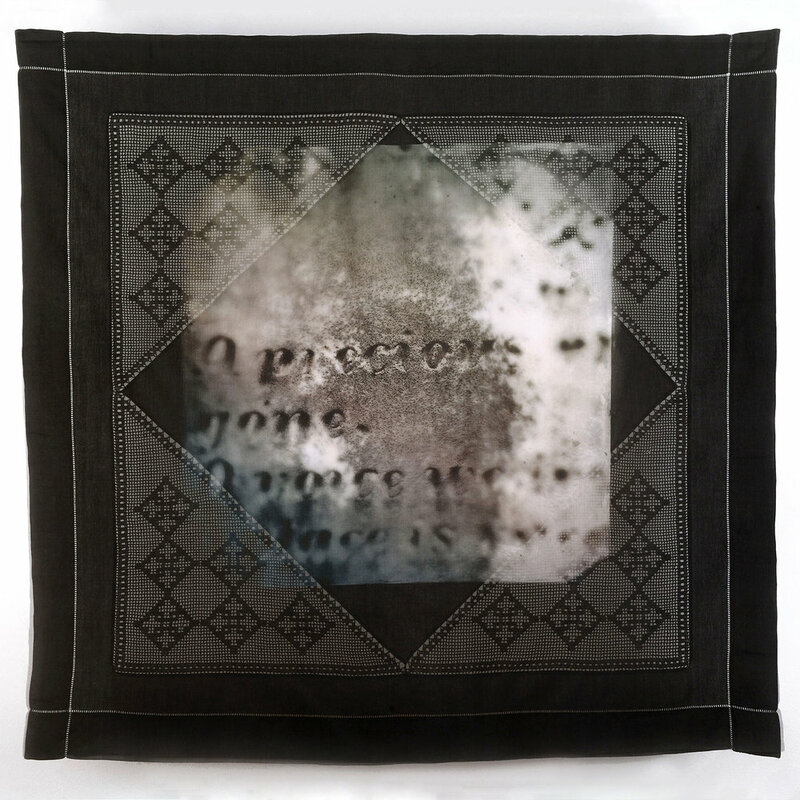 In Evanesce, I use silks and antique linens as materials in printing my photographic imagery, to depict loss, grief, and the fragile nature of memory. I wish to draw the viewer in, and evoke the emotions associated with loss.A range of subjects is shown. 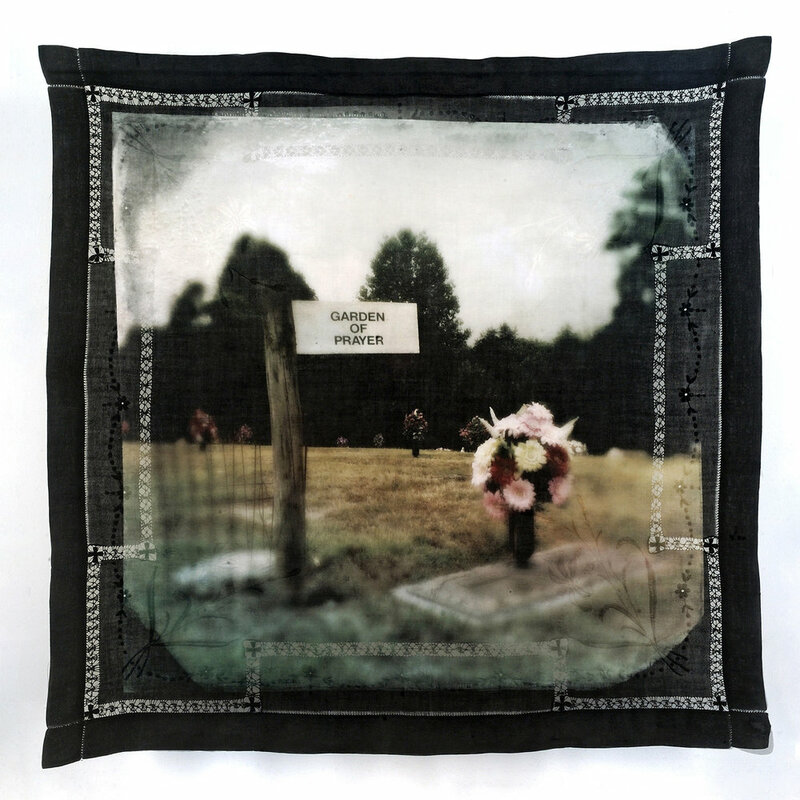 Fragmented postmortem views of family members.The funerals of those I have known. Graves, marked to remember, appearing the physical embodiment of grief. 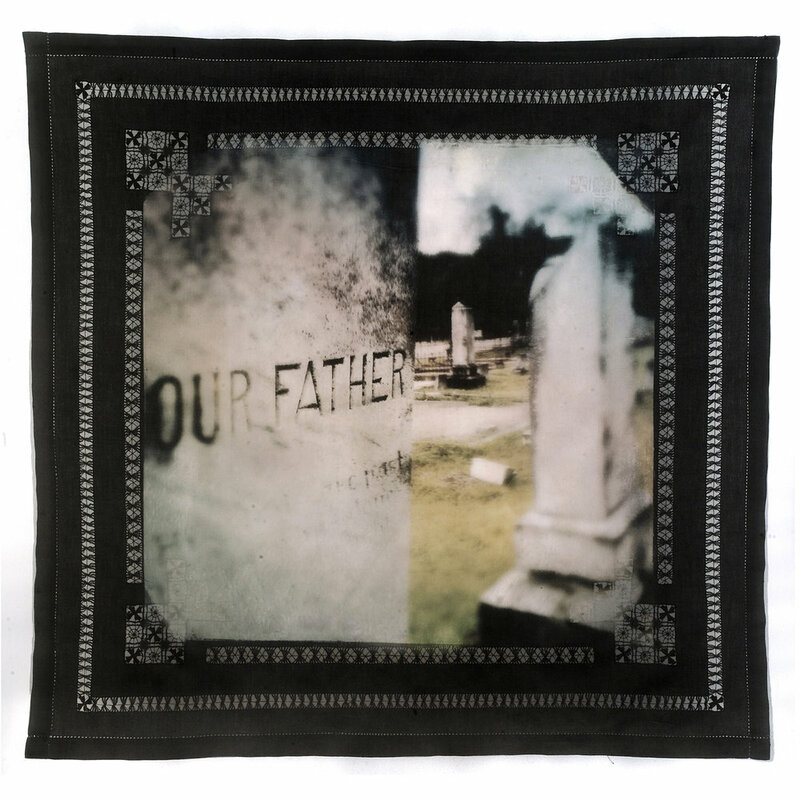 The works in this series are constructed with multiple layers of digital pigment prints on fabric. The works hang four inches from the wall, allowing the fabric to catch the slightest breeze, and light to shine through the materials. I print the top one or more layers on translucent silk. The bottom layer is printed on a handmade, unique antique linen, containing beautiful edges, embroidered textures, and “cutwork” open areas. They are anachronisms, made by the hands of so many women, who are, just as are the subjects of my work, now gone. The different layers of each work shift and move in air currents, changing the focus & intensity of the image. Creating a dreamlike landscape, it allows the piece to constantly change, as memory and life often do..